Upright Position Communications was founded by Paul Wilke, an experienced communications professional who has worked with incredible people and organizations over three decades. 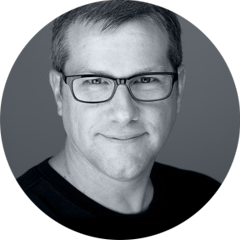 With feet-on-the-ground experience working on both US coasts and in Asia, Paul is focused on telling compelling stories, garnering on-message media coverage and providing sound strategic counsel. Prior to starting Upright, Paul headed public relations for Splunk, where he led communications around one of 2012’s most successful IPOs. Before Splunk, Paul managed global public relations at Visa Inc. with a focus on the company’s travel and tourism business, utilizing their vast resources of spend data to emphasize the global impact of tourism to consumers, governments and the travel industry. Prior to moving to the Bay Area in 2007, Paul lived in Singapore for 12 years, where he headed Visa’s public relations operations for South and Southeast Asia, managing corporate communications strategies, agencies and messaging in India, Indonesia, Malaysia, Pakistan, Singapore, Thailand and Vietnam. While in Singapore, Paul spent six years at one of Singapore’s premier public relations firms, The Baldwin Boyle Group. Clients during his tenure at Baldwin Boyle included Microsoft, APL, Agilent Technologies, Gulf Air, Abacus, Singapore Tourism Board, the Monetary Authority of Singapore, Volkswagen and Visa. Paul is a featured speaker on IPOs, tourism and public relations.